The Estuary One Design Class has been sailed at the Essex Yacht Club since 1920 and counts the Essex Yacht Club as its home base. 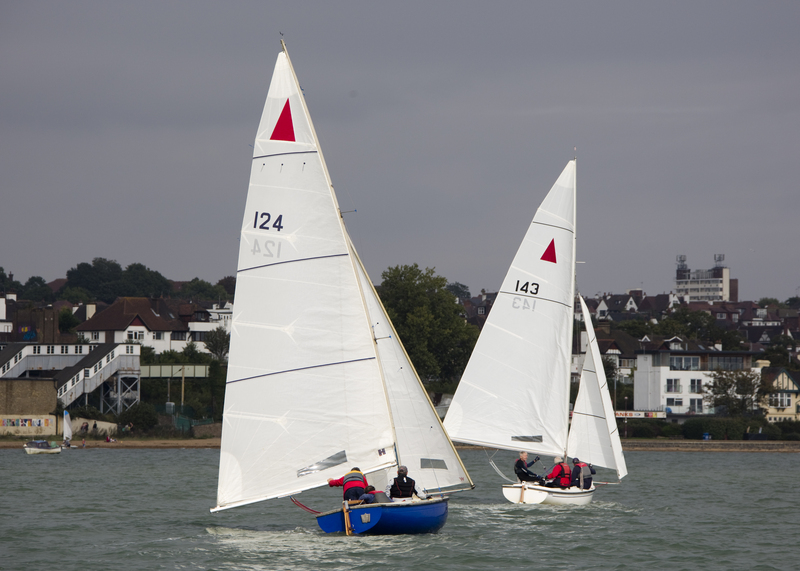 There are around 20 boats based at the club, with a full, keenly contested, racing programme throughout the season. As well as the EOD class at the Club, there is also an Estuary Class Association open to Estuary sailors outside the EYC. In practice, the Class Captain is also head of the Association. With a tall mast and a large sail area for their size, they offer close, exhilarating and challenging racing in constantly changing tides and winds. We welcome new sailors, whether you want to helm or crew. The racing is friendly but competitive and the class also has an active social calendar. Owning and racing an EOD is surprisingly inexpensive.